A new weekly delivery service to our customers in Clarington & surrounding areas, allows Krumbs Breadery & Stuff to provide products on a regular basis right to your own front door. Ordering and payments are simple to complete, and delivered on schedule as you wish. Choose from our selection of delivery items and Voila! Your order arrives! Stay tuned! 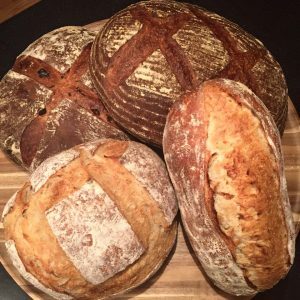 The Breadbox is launching soon. Sign up to our newsletter at the bottom of this page or follow us on the Facebook to get the latest updates.